It’s been a longer haul than I anticipated when I was prepping this novel for Kindle Worlds release in June. You know, before they CLOSED Kindle Worlds and I had to seriously consider how to handle the characters in my new book. Safe Harbour is now the second entry to MY Kimmie Jillison Mystery SERIES! After being ghost-free for most of her life, Kimmie Jillison has her second run-in when she meets an attentive and attractive amnesiac ghost while visiting her father’s grave. As she delves into solving the mystery of who he is, where he’s come from, and how he died, Kimmie discovers he may be the key to finding a missing person. The handsome ghost also proves to be one more complication in her already crowded love life. Kindle Worlds invited established authors to open their world to other writers. At the urging of Christine Cacciatore, I selected Terri Reid’s Mary O’Reilly series because I had read most of her books already, I enjoyed the style and characters, and I know Terri personally. I submitted two books, Kinder Garden, which introduced MY characters into Mary’s world, and Baker’s Dozen which featured Mary as the main character. At first, I was devastated with the closure news. Kindle Worlds had been good to me! But after KW shut down, Terri kindly provided permission to those who had published through her to republish those stories on our own. Kindle World stories were, obviously, Kindle only. But now, with the titles returning to me, I can put them out in print. And I did. Not only is the NEW release, Safe Harbour, available in digital and print, but so are the original MOR World stories! You can order them by clicking on the highlighted titles. You can purchase them in person at the Somonauk Library Local Author Fair! I will be there selling and signing with other amazing authors. Come support local writers and stock up for your winter reading! This entry was posted in Writing and tagged #OrderReadReview, A Strangers Child, Baker's Dozen and Kinder Garden--AVAILABLE IN PRINT!, Christine Cacciatore--check out her spooky stories! 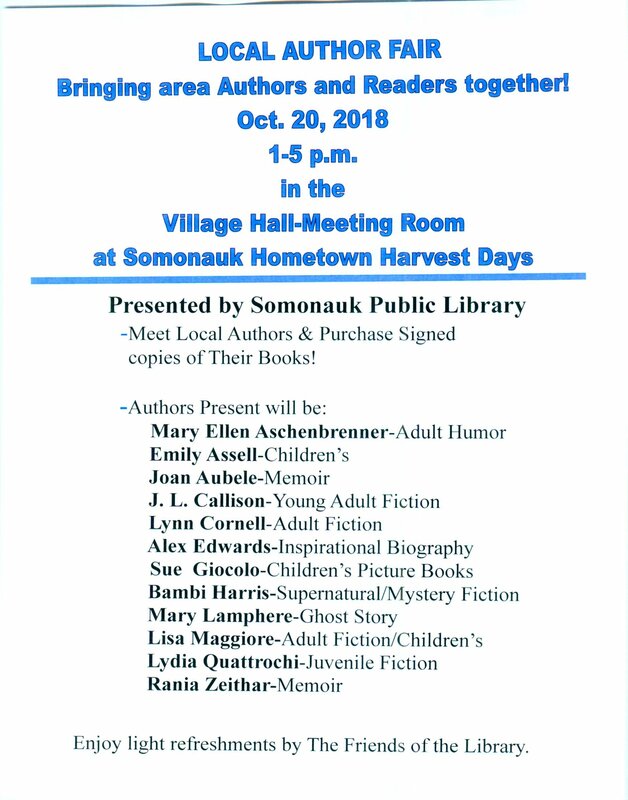 (and sassy ones, Kindle Worlds, Mary Lamphere, Pocket Money novel, Safe Harbour - NEW RELEASE!, Somonauk Library Local Author Fair, Terri Reid's Mary O'Reilly Paranormal Mystery World, too). Bookmark the permalink. 2 Responses to Introducing Safe Harbour!